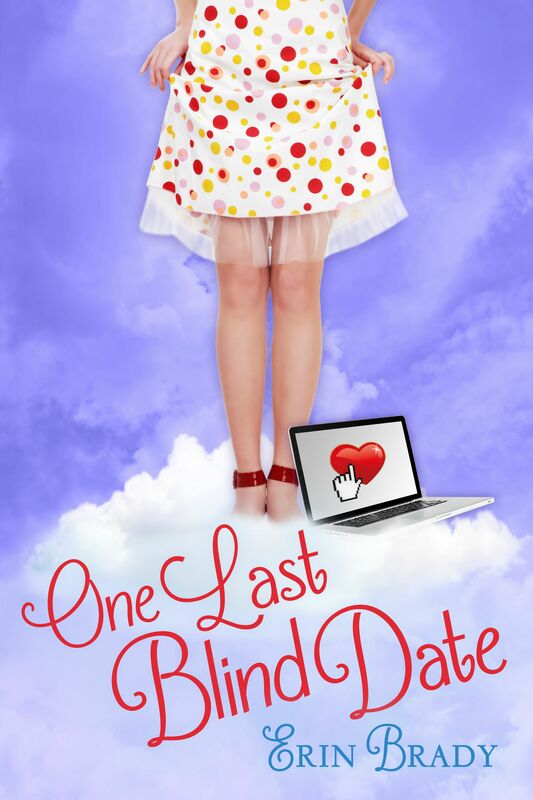 I am very excited to announce the release of my next book, “One Last Blind Date.” The story centers around Sarah Jenkins who, on her thirtieth birthday, gets a six-month subscription to an online dating service as a gift from her best friend. She’s not exactly thrilled with her present. After all, she had hoped for a new handbag or a trip to a tropical destination instead. But “happily married”Amy thinks she’s doing Sarah a big favor by throwing her into the dating pool, feet first and without a life vest, regardless of whether she’s ready to swim or not. Sarah is perfectly happy with her life and her career, but decides to give the service a try, if only for her friend’s sake. Besides, it’s the one gift that can’t be returned. I can certainly sympathize with Sarah’s dating problems. I’d like to think we all can. Although it’s ancient history now, I certainly remember (like it was only yesterday) the anxiety I felt about dating and trying to find my soul mate. It was nerve wracking having friends and family set me up with guys they thought were perfect for me, but whom I knew nothing about. It was, at times, painful, but always comical. I can laugh about it now, but it took several years of therapy to get over it 🙂 It was interesting to see that the person they thought was Mr. Perfect for me was, in reality, Mr. Are You Out of Your Mind? I was having lunch with a friend of mine a few months ago when the idea for this book dropped on my lap. She was sharing all of her online dating misadventures and I thought to myself, there’s definitely a storyline there. We’ve all been through this. We can all certainly identify with Sarah and her journey of one blind date after another after another. We can relate. Why not write about these dates and the journey of finding love while being true to yourself at the same time? So I went home and started documenting my friend’s dates, as well as mine and a dozen other friends’ and, before I knew it (I couldn’t type the words fast enough), I had a book. A wonderful potpourri of pieced-together dates. The finished product: It’s a light, romantic comedy and, hopefully to my readers, a good beach read. It’s no secret that I absolutely LOVE “Pride and Prejudice.” In my mind, it’s the original chick lit book. It has everything I’d want in a romantic novel. There’s the brooding, tall, dark and handsome (did I mention extremely wealthy?) leading man who has women fawning all over him, but shows little interest in their follies. Instead, he’d much prefer the company of an extraordinary woman, who isn’t afraid to challenge him and tell him when he’s acting unreasonable. And when I say extraordinary, I mean Elizabeth Bennett. She’s the independent, smart, and opinionated leading woman who does not particularly wish to fall in love but, should it happen, wants it to be on her own terms, not anyone else’s. She’s exactly the kind of woman that our leading man takes notice of, over all the best high society has to offer. And because it’s Jane Austen doing the writing, throw in conflict galore: misunderstandings, mismatch of family standing and a devastatingly handsome, but vile military officer named Wickham, who is there to cause trouble with a capital “T” and comical characters (such as Mrs. Bennett and Lizzy’s younger flighty sisters) and you have all the ingredients to the greatest love story of all time! I can read anything that hints of “Pride and Prejudice” and that includes any and all adaptations (“Lost in Austen”and “Austenland” being my favorites) and movie remakes (from BBC’s Colin Firth to Keira Knightley.) And do you care to know why? Because these are timeless and they transcend location, time and different cultures. The setting can take place on the moon and I’d still sigh over Fitzwilliam’s proclamations of love to Elizabeth Bennett while he’s wearing a space suit and riding on a rocket instead of on a horse. It makes no difference to me because I’m a complete sucker for all things Darcy. I’m thrilled to have discovered a new retelling of Jane Austen’s classic novel! It’s Sarah Price’s newly released book, “First Impressions: An Amish Tale of Pride and Prejudice.” I just finished reading it and I can tell you that Sarah has a true gift of storytelling. I’m a fan of her other works, especially her “Plain Fame” trilogy, but this time, she’s really outdone herself with this one! In the interest of full disclosure, I do have one confession to make. I don’t know much about the Amish culture or their way of life. Like most people in this area I’ve visited Lancaster once or twice while driving from Pennsylvania back to New York and I love the horse and buggy carriages, but my experience ends just about there. However, the beauty of Sarah Price’s book is that you really don’t have to know any of that to really enjoy the romance unfolding between Elizabeth “Lizzie” Blank and Frederick Detweiler in her story. All you have to do is open the book to the first page and enjoy the refreshing and magical retelling of a favorite story. After all, it has all of the key ingredients to satisfy my Austen fix: (1) a brooding, tall, dark and handsome, wealthy man; (2) a smart and very sassy woman; (3) conflict and comedy galore; and (4) most importantly, a love story! And like I said before, I’ll take Darcy in a space suit on the moon, or wearing a wide black brimmed hat walking through the rolling hills of Lancaster, Pennsylvania.